The project aims at developing the organizational and management capacity of partner organizations, which deal with and deploy social enterprises/youth centers. The focus, on one hand, aims at increasing the organizational capacity to create, develop and successfully manage and promote social entrepreneurship, and on the other hand to set up trained youth workers to work with marginalized and socially excluded young people. The main needs which the current project addresses are concentrated at increasing youth employment and social inclusion. Through this project the participants and the participating organizations will gain skills that could be implemented to specific business and entrepreneurial tools to solve social problems. The participants will also be informed about the opportunities offered for developing of Social enterprises and will increase their motivation for using innovative tools in their work. 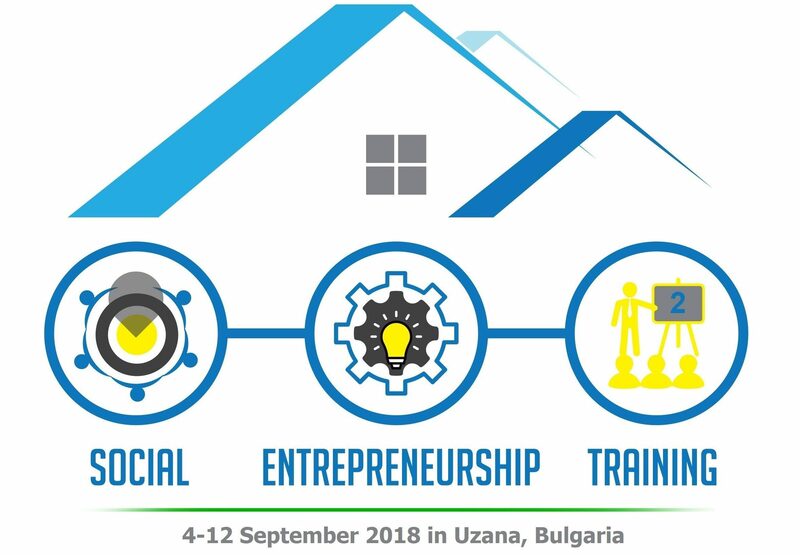 Among the main topics which will be addressed are: concepts for developing and managing of social enterprises; strategic planning; human resources and team management; financial management; a spiral of Social innovation; management tools; start-up management; identifying stakeholders; leadership skills and personal qualities of the social entrepreneur; development of social ideas. The program methods follow the model “Learning through experience” – debates, simulations, energizers; ice-breakers, communication games, acquainting and sharing activities; group debates; coaching sessions, creativity; reflection and self-analysis, open space and others; The activities will be based on the principles of experiential learning and the Kolb’s Cycle. The expected results on the realization of the project are: to increase the capacity of the participating organizations in the management of social enterprises; increasing the level of key qualities and competences of the people occupying leadership positions or actively working in social enterprises; accumulation of specific business and entrepreneurship tools for solving social problems; sharing experience and setting up trained youth workers to work with marginalized and socially excluded young people; to exchange some experience and good practices between partner organizations ; to provide examples for successful businesses and manuals among participants, created by youth social entrepreneurs. The project will have an effective impact on two levels: on individual level (for youth-workers) and global level (organizations; beneficiaries, stakeholders, local communities and society). The impact on the participants will generally express the increasing of their capacity; competences for work with marginalized and socially excluded young people; The impact of each one of the partner organizations will be to enrich their fields in order to solve social problems among the youngsters in large scale, using social entrepreneurship tools.